The full crochet pattern to re-create our Rhaeyan Crochet Turban is now available in the Etsy shop and on Ravelry. 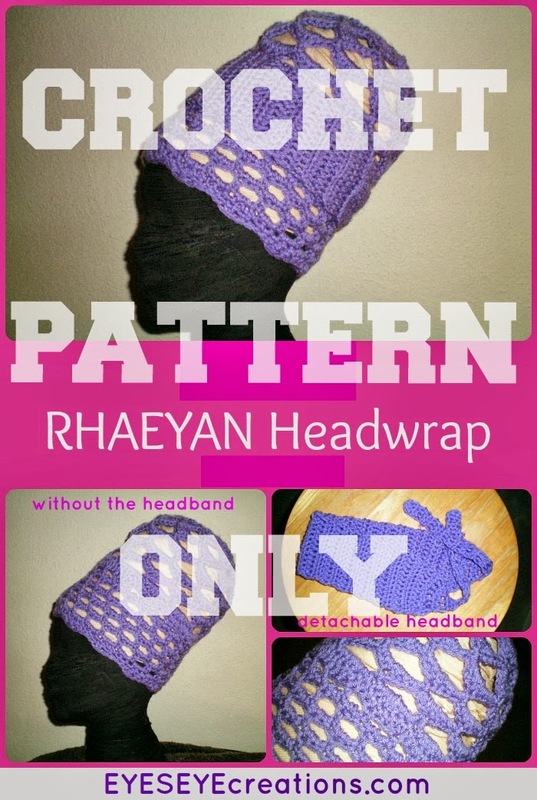 The RHAEYAN Headwrap is a lovely open work crochet piece. It is perfect for those who want to wrap your hair but not have your head over-heat. For the colder months you can always wear a cloth wrap underneath as shown in the photo above. The headband portion is detachable so you’re getting two pieces in one as each can be worn separately or you can wear them together. 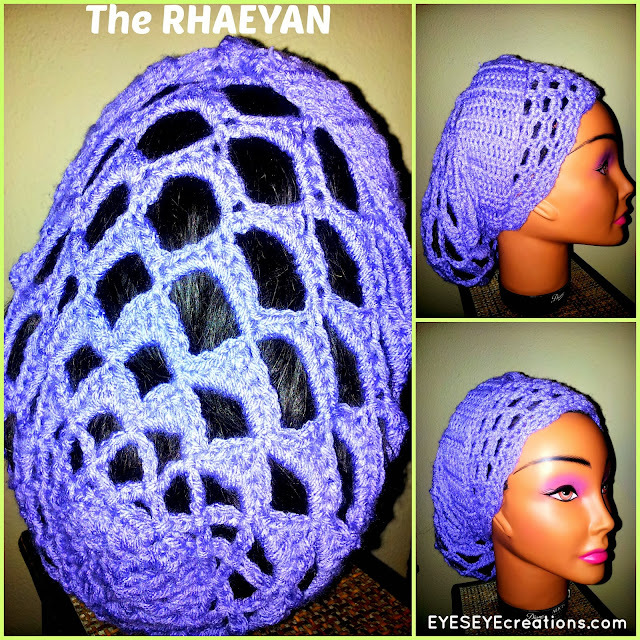 The Rhaeyan can also be worn as a slouchy hat if desired. 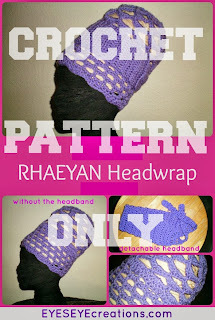 Included in the pattern are video links to video tutorials on the different ways you can wear the Rhaeyan.